The Redwood S20E electro-acoustic soprano ukulele is great for the musician on a budget, or for the first time player. The body has been designed so that it is as easy as possible to play, encouraging players both old and new to enjoy their playing experience as much as possible. The body of the S20E has been crafted completely from laminated mahogany, which produces a timbre with an emphasis towards mid to low-end power, perfectly balancing out the brightness or the soprano body profile. Thanks to the laminate, the S20E stands up well to changes in both temperature and humidity, so you can rest assured that wherever your travels may take you, you beloved uke will play perfectly every time. Fitted to the body is a solid neck that is married to a composite fingerboard. This composite is smooth to the touch, guaranteeing comfort throughout each and every performance. Navigating the 12-fret playing surface is easy thanks to the dot position inlays. Composite wood has also been employed in the role of ensuring a seamless connection between the strings and body, crucial to upholding the reassuring playing feel. The bridge carries out its task effortlessly, and working in partnership with the well-appointed tuning machines, the S20E maintains intonation and tuning accurately throughout. The S20E has been completed in an understated natural finish, proudly displaying the natural grain of the laminated mahogany. The Redwood S20E has been fitted with a discreet pre-amp and pickup system that enables it to be plugged-in and played through an amp with the greatest of ease. The electronics system translates the rich timbre of the laminate mahogany perfectly, and control couldn't be easier thanks to the simple combination of the individual volume and tone controls. 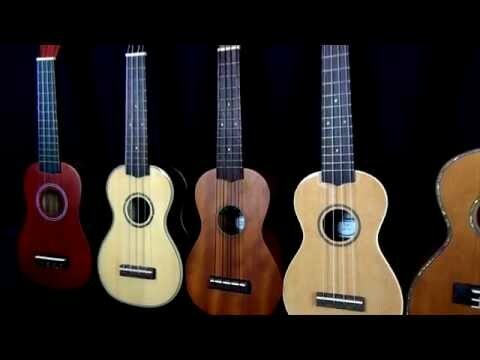 If you're looking for an awesome electro-acoustic ukulele that is comfortable to play, travels with ease, and can be played acoustically or through an amplifier, then the Redwood S20E soprano ukulele is perfect.